The Obermeyer Ultra Gear Fleece Zip Top Mid-Layer is the perfect addition to your little one’s ski gear this winter season. The polyester fleece blend is lightweight but still offers enough warmth to keep her toasty under a light ski jacket. 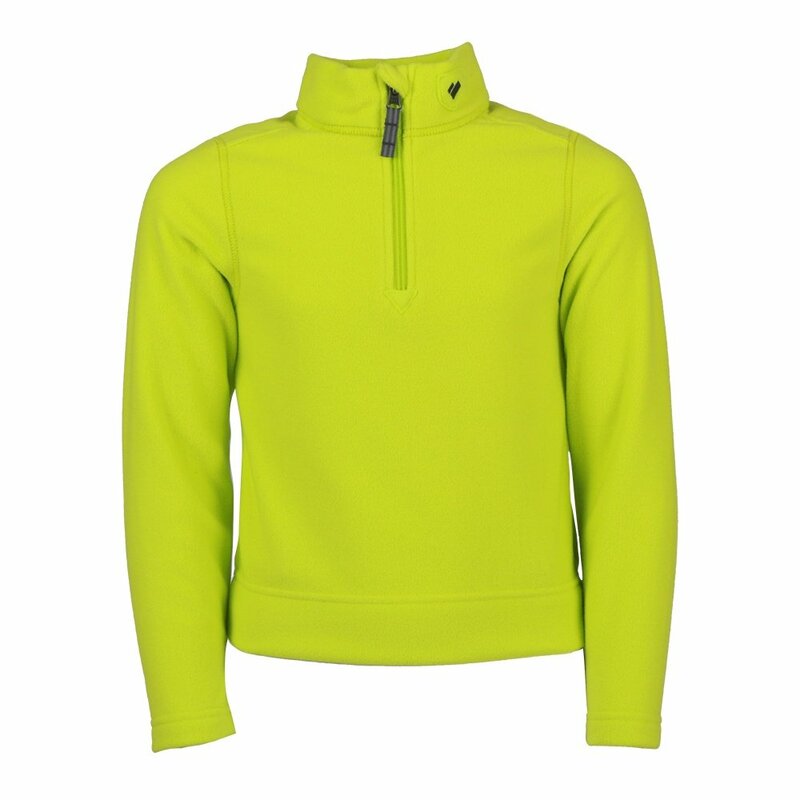 Flat seaming makes for a comfortable fit, while the fleece-lined collar keeps them comfortable. And with multiple color options - they'll always find something they love. The 1/2-zip allows for easy temperature adjustment and can make changing layers a breeze without having to take off hats and helmets. "This states “Little Kid’s” so what ages/number-equivalent do sz L and XL fit?" "Thank you for your inquiry. The category (Little Kids') is ages 2-8 years old. The size large is 6/7 and extra large is 8. We recommend taking a look at the Obermeyer size chart (Little kids') for accurate measurements. We hope this information helps!"